Telperion Solutions Group is a Western New York company, providing information technology services to small and mid-sized organizations. 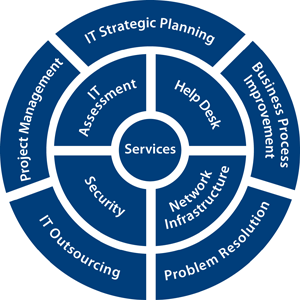 We have been providing complete IT solutions since 2001 and have a proven history of successful solutions. Our team has the expertise providing a high level of support in all areas of IT including, Business Process Review, Project Management, Business Analysis, Digital Phone systems, and Custom Application Development. We focus on the business side of IT because it is often overlooked and that is where the greatest savings can be achieved. As a result, Telperion Solutions Group delivers solutions that are efficient, comprehensive, and cost effective. We are very customer orientated and realize that our success is directly tied to our clients’.